Those, who extended condolences, include Pakistan Peoples Party Chairman Bilawal Bhutto Zardari, former president Asif Ali Zardari, PML-N President Shehbaz Sharif and other leaders of the party, Qaumi Awami Tehreek Chief Ayaz Lateef Palijo, Awami National Party Chief Asfandyar Wali, Muttahida Qaumi Movement leader Amir Khan, Foreign Minister Shah Mehmood Qureshi, Speaker National Assembly Asad Qaisar, Deputy Speaker Qasim Khan Suri, Chairman Senate Muhammad Sadiq Khan Sanjrani and Deputy Chairman Saleem Mandviwala. Begum Kulsoom had been placed on life support at London's Harley Street Clinic on Monday night as her health began deteriorating. 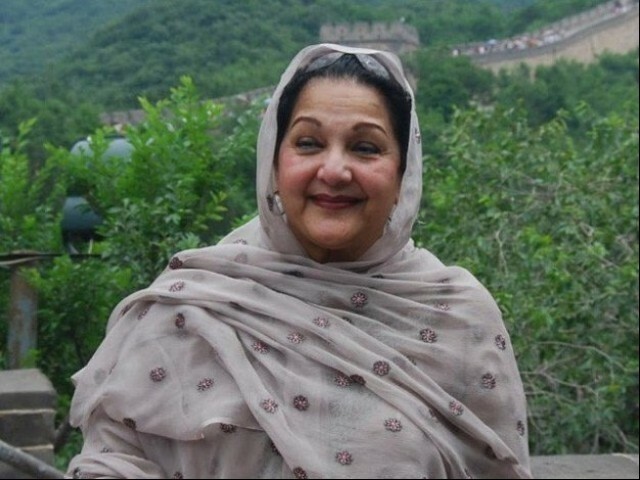 Begum Kulsoom was elected to Lahore's NA-120 constituency in a by-poll after her husband was disqualified from the seat by the Supreme Court past year, but left for the United Kingdom before she could begin campaigning for the by-poll. Begum Kulsoom Nawaz received her early education at Madrassa-Tul-Banat.